Sparkle Me Pink: Raise Funds for YOUR Kids Sports Teams & Community Groups - No Monetary Donation NEEDED !!!!! Raise Funds for YOUR Kids Sports Teams & Community Groups - No Monetary Donation NEEDED !!!!! We are a big sports family ! I danced and cheered through my youth and my husband a big bad football player. Now our son will start tackle football this Fall ! He did flag football last year and I kind of wanted him to do flag for another year but hubby seems to think he is ready for the next step up. However, with the next step up we have to not only pay for the uniform but for the protective pads too and those are not cheap ! 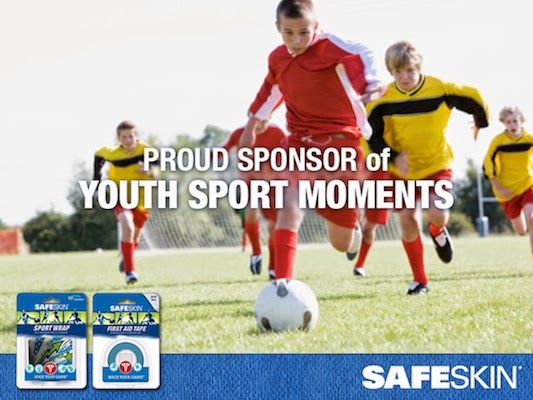 Are your kiddos in any sports where you have to pay for the uniforms or equipment ? Pear is a social engagement platform that helps groups earn a sponsorship from brands – for FREE. Pear matches up sponsors with groups and organizations within the community. How it works - Basically Pear acts as the middle man connecting sponsors and groups in need. Sponsors have money they want to donate to causes but don't know where / how to allocate them. Each group can earn up to $1,000 within a 10-day time frame. Then that $1,000 can be used toward team apparel! Even if groups don't hit the $1000 mark, the teams still gets to keep whatever amount they do earn. This is a fantastic way to get your friends and family - even those who don't live close by involved with your kiddos sports. Plus they don't have to donate anything except a bit of time to post a few pre-written social shares ! No monetary donation is necessary !! Social network actions help the teams raise the funds. For example: Safeskin is a sponsor on Pear. Friends and family of a team only need to complete digital steps on behalf of Safeskin to earn dollars – things like liking Safeskin on Facebook, following Safeskin on Instagram or signing up for an email. I encourage you to head on over to PearUp.com and support your local sports teams or create your own Pear for your child’s sports team. If you do create a Pear, comment below with the link to get support from other readers.